Shea butter is a slightly yellowish or ivory-colored fat extracted from the nut of the African shea tree, shi tree, vitellaria or karité tree. It is often used in cosmetics as a moisturizer, salve or lotion. Shea butter is actually edible and on occassion the chocolate industry has used shea butter as a substitute for cocoa. Shea butter's main use is in cosmetics such as moisturizers, creams and emulsions, as well as hair conditioner for damaged, brittle and dry hair. However it is also used as a base for medicinal ointments. This unrefined Shea butter in known to have anti-inflammatory, emollient and humectant properties. Shea butter has been used as a sun-blocking lotion as it offers a low level of UV protection (approximately SPF-6). Shea Butter is very beneficial for a number of skin issues such as; dry, damaged and itchy skin, stretch marks, skin rashes ( including diaper rash), eczema, and dermatitis, small skin wounds, muscle aches and fatigue, wrinkles, dry and brittle hair and skin allergies. In Africa, shea butter has many uses. For cooking oil, as a waterproofing wax, hairdressing, candle-making, and as an ingredient in medicinal ointments. In Ghana, shea butter is locally known as nkuto or nku is used to protect the skin during the dry weather season. In Nigeria shea butter is used for relief of sinusitis and nasal congestion It is also used as an oitment for mucscular and joint pain. 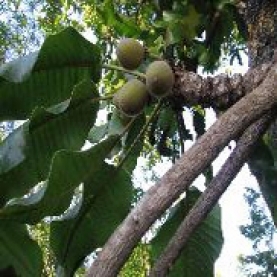 The nuts are first picked from the Shea Tree and cracked, grilled, and pounded by hand. This oil is then scooped into gourds, where it is allowed to cool. Once that the oil has cooled, it thickens into a butter-like consistency. Our Shea Butter is completely raw, organic and unrefined West African butter. The aroma is thick and nutty. It is very important to purchase unrefined Shea butter. They you are assured that the Shea Butter has not been altered by chemical processing methods as these methods can lessen or deplete the butter of it's vitamins, minerals and healing properties.